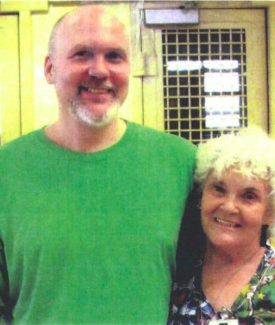 ***UPDATE*** On January 25, 2019 Governor Mike DeWine granted a reprieve to Keith Henness until Sept. 12, 2019 due to concerns about Ohio’s lethal injection protocol. Henness originally had a date of Feb. 13, 2019. We’ll keep you updated on Keith’s case and what action steps to take in the coming weeks. You can read about Keith’s case below. Keith Henness is scheduled to be executed at the Southern Ohio Correctional Facility in Lucasville on Sept. 12, 2019. Keith’s case in yet another reminder of the systemic flaws with Ohio’s death penalty system. Lead counsel logged fewer than 12 hours investigating the case during the sixteen months before trial. Counsel did not investigate or hire mitigation specialists to defend Keith. Both co-defendants had histories of violence, substance abuse, and motive for killing Richard Myers. Keith had no history of violence and no motive for the crime. Finger prints and blood samples taken from the crime scene did not match Keith. The lead detective on the case instructed the crime lab to destroy the forensic evidence after the trial, while Keith’s appeal remained ongoing. The only evidence used to convict Keith came from the two co-defendants. Franklin County data show from 1990-1995, 98% of indicted aggravated murder cases did not receive the death penalty. Of the 109 indictments eligible for the death penalty, only 2 actual death sentences were given. Keith Henness was one. Because Keith did not trust his trial lawyers, he did not agree to a plea deal offered by prosecutors for 20 years-life. Keith Henness is the first person scheduled for execution under Governor Mike DeWine. Call Governor DeWine at (614) 466-3555 and tell him he should grant clemency to Keith based on ineffective trial lawyers, lingering doubts about co-defendants, and data clearly demonstrating his death sentence is unfair. Click here to read more about Keith’s case and sign our change.org petition.